Are you a band, a choir, a performer, a gymnast, or you just have a special talent that is begging for that big break? Then you need to sign up for Anniston’s Got Talent which is being held on Friday July 19th at the Anniston Performing Arts Center. Auditions to be in the show will be held on Sunday June 2nd at the McClellan Theatre. Anyone is allowed to audition for Anniston’s Got Talent. You do not have to be a resident of Anniston or Calhoun County to audition for Anniston’s Got Talent. Anyone from Alabama, Georgia, and the southeast can audition. This event is also open to all ages! This event is being put on as part of the city of Anniston’s 130th birthday celebration this summer and one of the events being planned is a big talent show. Anniston’s Got Talent will have professional judges lined up at the auditions and in the finals. And there will be several talent scouts in the audience watching the auditions. Each performer will have two minutes at the general audition. For singers and bands, a piano and drums will be provided. All vocalists must be a capella unless providing their own accompaniment. Vocalists may use an acoustic guitar and no backup CD’s can be used during the general auditions. If music is used in your act, you must provide a CD with only your audition song. The prize money is pretty awesome! If you win and come in first place, you will get $1000. Second place is $500 and third place is $250. Anniston’s Got Talent needs singers, actors, bands, dancers, magicians, jugglers, cheerleaders, choral groups, and more. It does not matter what your act is. If your act is interesting and can satisfy an audience, apply to Anniston’s Got Talent today. But hurry, all applications are due along with a $20 application fee by Friday May 24th. 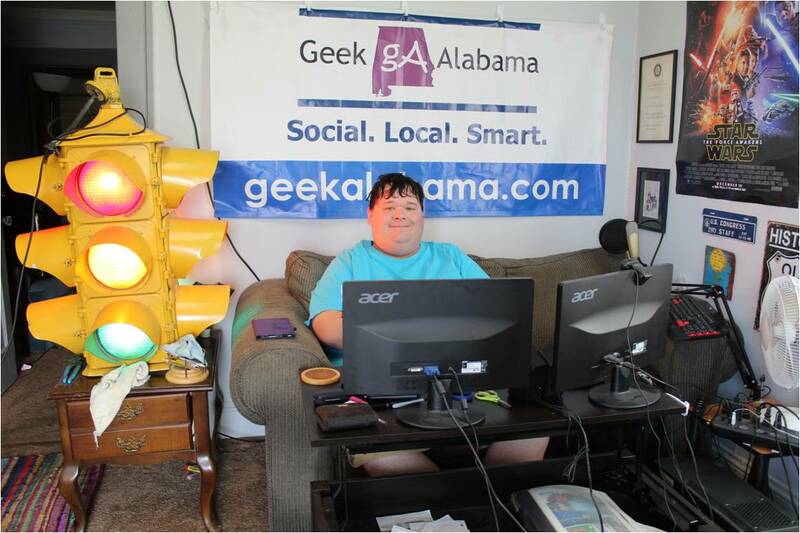 Yes, Geek Alabama will be covering this event. I even wonder if I could get in on the action by judging or hosting? 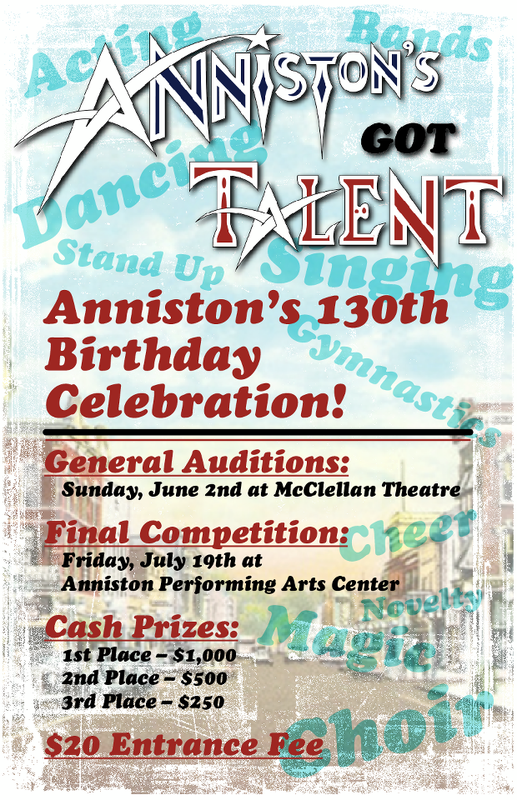 To learn more about Anniston’s Got Talent and to apply to audition, go to: http://www.annistonsgottalent.com/ You can also call at 256-241-7692.